A simple double track circuit on a 2.4 x 1.2 m baseboard. One loop track in the station. Operated by digital control, all locomotives have been purchased new since 2005. 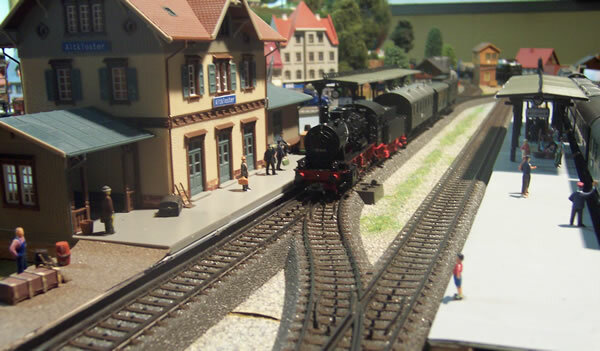 The operation requires either a Maerklin Mobile Station or a Central Station. After a few years, I decided to enlarge the layout with another double track mainline, this time with the overhead catenary. The new overall size was 4.5 x 2m. 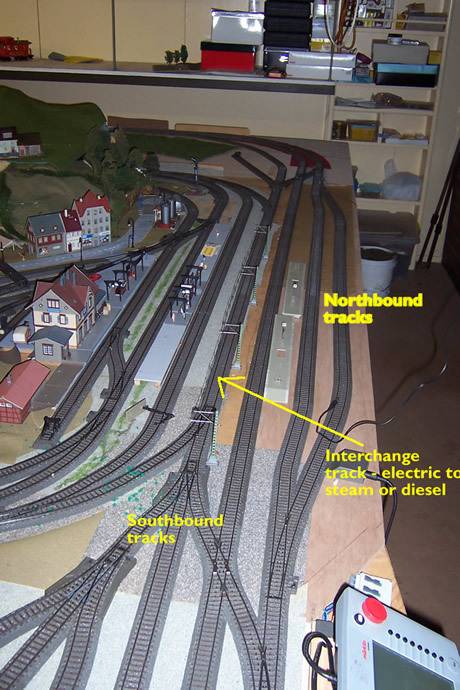 I planned a catenary installed track between the two circuits, to act as an interchange where trains could change their motive power from electric locos running on the outer tracks, to steam or diesel locos running on inner or outer tracks. 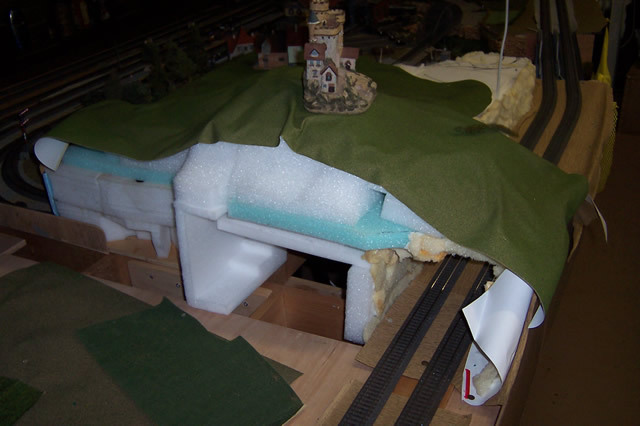 Between the two circuits at the north end, was room for three hidden sidings under the mountain. Trains could run forward or backward into these tracks. 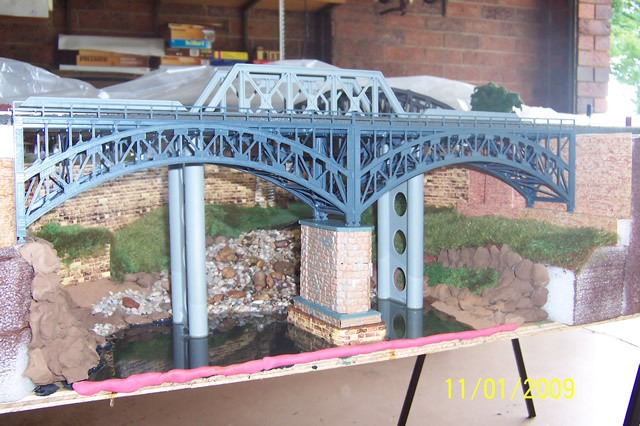 The layout is still on the one level, though the bridge section (where two different design bridges cross the river) on the outer circuit was raised by 30mm, to create some engineeringl interest. In early 2010 this layout was relocated. The new location featured the same track layout, but in a more compact space.